The artist's studio has long been perceived as a mystic place. Even today, the doors to the creative place of artists are only rarely opened. Only those who splash out or join exclusive art clubs will be granted access. Miriam Vlaming breaks with those conventions with her event series Firstdate the artist, which takes place several times a year. In a salon-like atmosphere, the artist invites other artists on a regular basis, offering them her studio as an exhibition space. Thus, the private studio turns into a public space for one night, which, however, because of its shielded character, differentiates from the commercially oriented show room of a gallery. This is how Firstdate the artist provides space and opportunity for constructive dialogue and new symbiosis beyond the boundaries of painting. New artistic positions from the field of painting, sculpture, photography and video are being presented, complemented by a supporting programme such as readings and music and theatre performances. 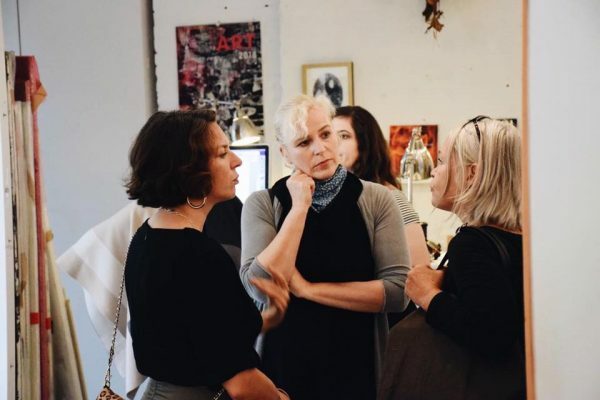 Periodically, Firstdate the artist invites artists, curators, collectors and those interested in the arts to enter a dialogue about new artistic positions. For one night, Firstdate the artist transforms the private studio into a public space for intensive discourse about art and culture. On the occasion of the article ‘Jetzt erst recht! Wie Malerinnen die Neue Leipziger Schule wieder ins Gespräch bringen‘, – published in art – Das Kunstmagazin – Miriam Vlaming invites art lovers to a new edition of Firstdate the artist under the titel ’Unser Kaffeekränzchen’. The artists Isabelle Dutoit, Katrin Heichel, Verena Landau and Claudia Rößger, who all studied under Arno Rink and rose from the New Leipzig School, exhibited her works next to those of Vlaming and entered a direct dialogue on the occasion of the common article in art – Das Kunstmagazin im August. The introduction was given by Susanne Altmann, correspondent for art – Das Kunstmagazin and curator of the exhibition. 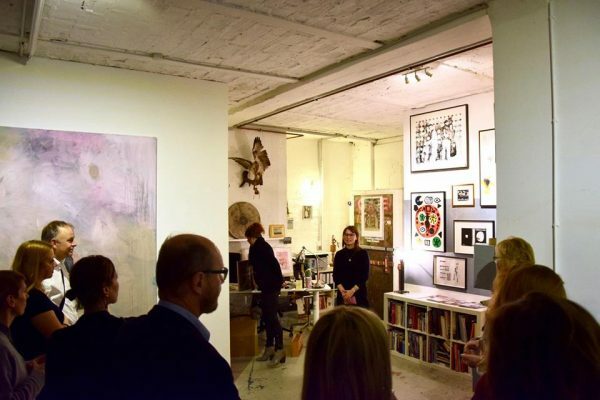 It was in December 2016 when Miriam Vlaming started her new exhibition series with her first guest, Berlin based start up Artflash and invited those interested in the arts to exchange their ideas in her private studio rooms for one night. In the course of this event, Firstdate the artist presented – apart from Miriam Vlaming's works – selected editions by Chris Cunningham, Diango Hernandez, Alex Katz, A. R. Penck, Sigmar Polke, Mel Ramos and David Salle.